With the ever-increasing interest in customization, branding and unusual designing for things of daily use, the means of achieving those goals have also evolved and proliferated. From the traditional option of screen printing to the modern method of digital printing we see designers and individuals electing to use one or the other for their products. Screen printing was originally called silk screen printing and was patented by Samuel Simon Matthew Atere-Roberts in 1907. It involves creating multiple stencils of the design to be printed and using each individual stencil to apply layers of ink on to the surface. The colors in the design are applied one at a time and each color uses a different stencil. Incidentally, the stencils are called screens, hence the name. Screen printing is a complex process with multiple steps beginning with the design, the burning of the design into screens, preparing the inks to be used and finally ending with the printing. The most expensive component of the process is the screen or the screens and once the screen is made it can be used countless times. Thus, the higher the volume of units to be produced or printed, the lower the cost per unit for the producer. The screen printing method uses a complicated system of spot coloring, halftones and blends, thereby creating images that seem to have myriad colors. Moreover, since the process has been around since the turn of the last century there is a huge range of inks that are readily available which also helps with cost management . Digital printing is a much more recent process which used computer technology to print on to desired surfaces. Thus, in digital printing the artwork or design is processed in a computer and then printed directly much as you would print on paper. The digital printing process uses a printer and therefore you can theoretically print a single copy or unit of the product – a great advantage at the sampling stage. As the digital printing technology is fairly advanced it allows the producer to recreate anything from a complex photograph to a single-color logo, making customized pieces easily accessible. Screen printing is the superior process for designs that require a high level of vibrancy as the ink in screen printing is applied thicker than that in digital printing, which results in colors with more brightness and depth. The screen printing process used machines that can maneuver around uneven or curved surfaces which is also an advantage. 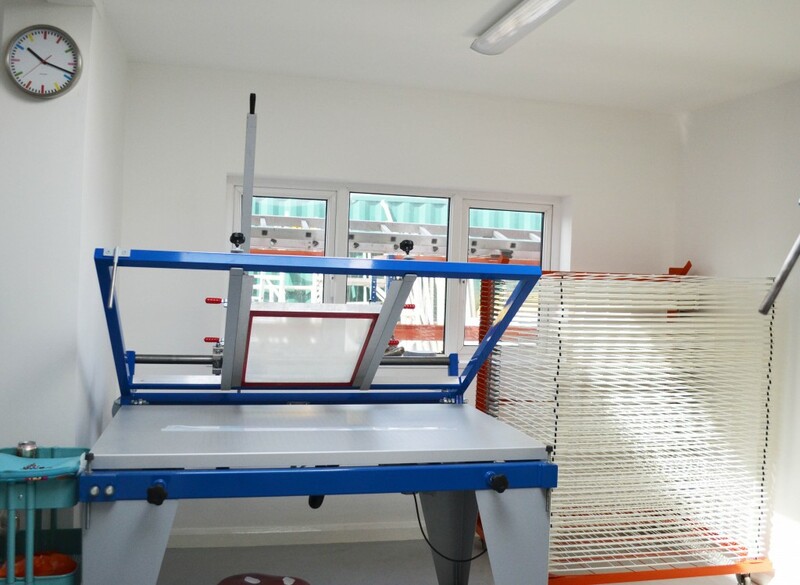 There is, however, a minimum quantity specified for most screen printing orders to offset the high cost of making screens and of the wastage that is part of the run on a screen printing machine. Digital printing is best used detail-oriented work and specifically for smaller quantities. Using a computer for digital printing means that a photograph can be printed in all its minutest details through the process. Theoretically digital printing allows exclusive runs of a single design on as few as one unit. It is also a less complicated process as all that is required is inputting a design into the computer and giving the print command to the printer. Each of the two printing methods has its pros and cons – the choice of which method to use depends entirely on the design, object, quantity and budget. Screen printing is cost effective and has highly professional looking high quality results. It is definitely the better choice for large orders. The initial set up costs, however, are higher and minimum order quantities are needed to justify the expense. Also, high resolution details may not show up well in screen printing. Digital printing can produce as few as one item at a time and has the potential to print fine detailed work, like photographs. Since the design is on the computer minute adjustment are easily done. The colors and design is limited only by the capacity of the printer but generally exact color matching can be difficult. The ink for digital printing is also more expensive and the size of the print area is limited to the capacity of the printer. Digital printing also usually restricted to fabric. While this is not a concern for small orders the time in printing per unit through digital printing tends to be longer than that taken by screen printing. de. "Difference between Digital and Screen Printing." DifferenceBetween.net. September 3, 2014 < http://www.differencebetween.net/technology/difference-between-digital-and-screen-printing/ >.